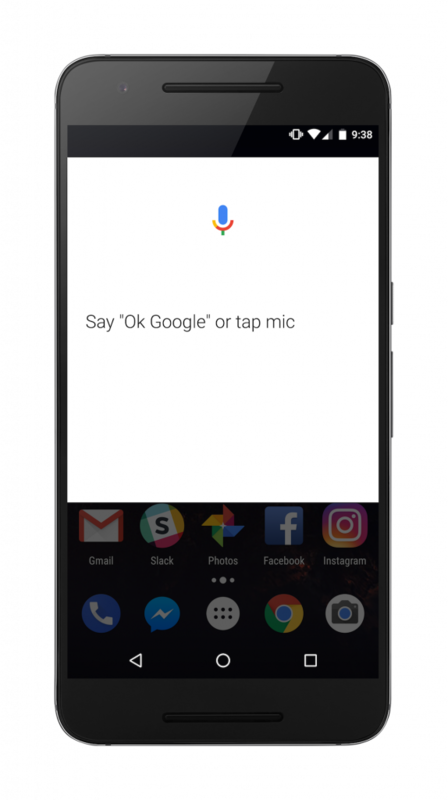 With most modern Android phones, just saying the phrase “OK Google” will launch the Google assistant app, which is capable of answering simple questions, or functioning as a app launcher. Following up with “open g mail” will launch the Gmail app on your phone, or saying “navigate home”, will open the Google Maps app, with the destination already set to your home address. In the following few paragraphs, I demonstrate, how a wake-up word (a.k.a. hot word) can be used inside an android app, to wake it up. Imagine a scenario, where the android app is already launched and running in the foreground, just waiting for a user to say the wake-up word or phrase, to start the full experience, i.e., start the next activity. Waiting is somewhat indeterministic, we don’t really know how long we have to wait, until the wake-up word gets spoken, which means using an on-line speech recognition service doesn’t sound like a good idea. 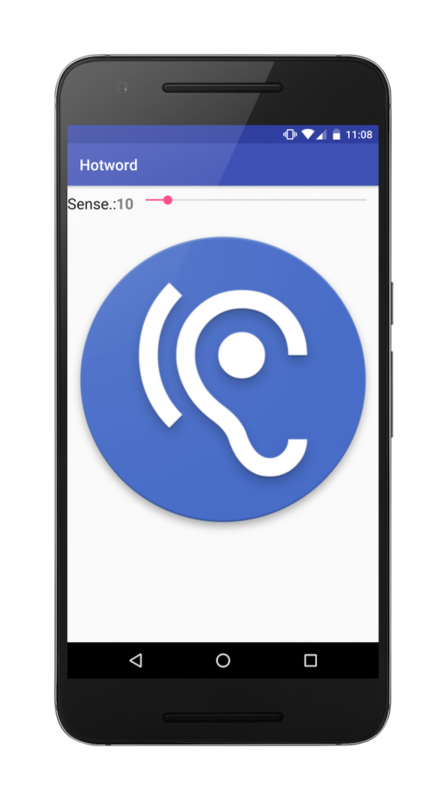 Fortunately, there is PocketSphinx, a lightweight speech recognition engine, specifically tuned for handheld and mobile devices that works locally on the phone. Let’s get started, by creating a simple project with Android Studio. Since the app needs to be able the use the microphone, and read and write to storage, the following tags have to be inserted into the AndroidManifest.xml file, just before the application tag. 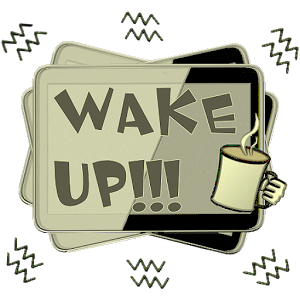 The vibrate permission gets requested, so that we can briefly vibrate the phone, to indicate that the wake-up word was successfully recognized. The ListeningActivity that patiently waits for the wake-up word to be uttered. The MainActivity, which will be started from the ListeningActivity, once the wake-up word was recognized. The ListeningActivity will cleanup after itself, so that the Microphone for instance can be used, by any activity that follows. Should the ListeningActivity be called again, it will again, patiently waits for the wake-up word to be uttered. Instead of compiling and packaging the PocketSphinx code into an Android Archive (AAR) locally on your development machine, simply download the Android library and put in the applications libs folder. Here is the tutorial for how to create the pronunciations for each word in the dictionary. The sensitivity of the key phrase recognition can be modified with an threshold value. If you experience too many false alarms, move the threshold closer to 1. 1 means no false alarms, but also many matches might be missed. This app puts a seek-bar at the top of the screen, allowing for interactive threshold tuning. In onCreate, the app permissions are requested and the SeekBar gets setup. In onResume, the recognizer gets setup. This means that the assets are loaded, the threshold set, and most importantly, the recognizer gets set into “KeyphraseSearch” mode and the recognition is started. Since the ListeningActivity implements the PocketSphinx’s RecognitionListener interface, the activity can be registered to receive recognition results. This method gets called when the wake-up word or phrase has been spotted. Therefore, the device vibrates briefly, before the MainActivity is started. To allow other activities to use the microphone, in onPause, the recognition process gets shutdown and resources released. saying words from DICTIONARY file, the words are not recognizing. Hi, Hotword not getting detected while texttospeech to playing. How to handle stop when tts is speaking. Hello, one question: Is it possible that e.g. Wake-Up-Word-1 calls function-1 and Wake-Up-Word-2 calls function-2? Or is it only possible that different Wake-Up-Words call the same function?